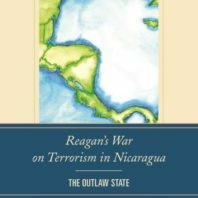 During the past academic year Philip W. Travis (PhD 2014) published his first academic monograph titled Reagan’s War on Terrorism in Nicaragua: The Outlaw State as well as an article titled “Óscar Arias and the Treaty of Esquipulas.” The article was published with the Oxford Encyclopedia of Latin American History and was based, in part, on a firsthand interview with former President of Costa Rica and Nobel Prize recipient Óscar Arias Sánchez. 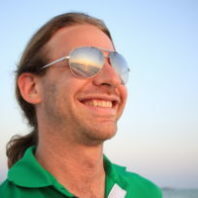 Dr. Travis, who is currently an associate professor of history at State College of Florida, lives in Sarasota, and has made guest appearances on public radio, speaking about both his book—which is available for purchase as a hard cover text and will be re-released in paperback this summer 2018—and his interview and article with Óscar Arias Sánchez. In addition, Dr. Travis has written a chapter in an edited volume that is being published with I.B. Tauris later this summer 2018. This most recent publication is titled “The United States and Nicaragua: State Terrorism During the Late Cold War,” in: Adrian Hänni, Thomas Riegler, Przemyslaw Gasztold (eds. ), Terrorism in the Cold War: State Involvement and Covert Operations (London: I.B. Tauris, forthcoming). Dr. Travis is currently working on two new projects and has organized a panel at this year’s annual Society of Historians of American Foreign Relations (SHAFR) conference in Philadelphia. Travis is grateful for the guidance and mentoring that he received from his doctoral committee chair, Noriko Kawamura, and Matt A. Sutton. These two scholars, Dr. Travis said, are invaluable to his own success and are great assets to the WSU Department of History.